Easter Sunday 24 April 2011 started off as a normal day. I was in no hurry to get out of bed, eventually doing so at around 09:20. Whilst having my first cup of tea of the day I went about my morning routine of going online and posting my thought for the day on Facebook and checking other online stuff. I went into one of my email addresses and there was one solitary email, from my friend V in South Africa. It was very short and to the point; it said quite simply “Swami has left”. I was quite numb at first. 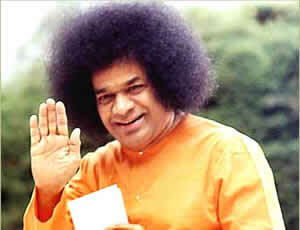 My beloved Swami, Sri Sathya Sai Baba had left his physical body. There had been signs for some time that Baba was getting ready to go, and in recent weeks it became increasingly apparent that devotees were going to have to accept that this was the case. It was still hard to believe though; you don’t expect Swami to go, simply because he has always been there. For a number of hours I cried intermittently; not out of grief, for I know there is no such thing as death, but for the sheer love of Baba and the realisation that he gave so much to us, yet took nothing for himself. His love was, and still is, boundless and I am truly blessed to have been touched by Baba’s love on many, many occasions. At the time I remember thinking that this was not to be taken seriously, and I politely humoured my American friend. Little did I know how right he was. Now as I sit here and muse about this strange day it hasn’t quite sunk in that Sri Sathya Sai Baba has left his physical body. Probably because I’ve had so many inner experiences with Baba…… and a physical body has never been essential to our relationship in the past…. so why should it be now? He always touched me with his love across time and space; so often my eyes welled up with tears of joy as he enveloped me in his loving light. On one occasion he even blessed me with an astral experience by lifting me from my physical body and carrying me off into the ether. I suppose that, at some stage, even God has to go home…..but I don’t expect it to change my relationship with him.